The P.U.S.S. 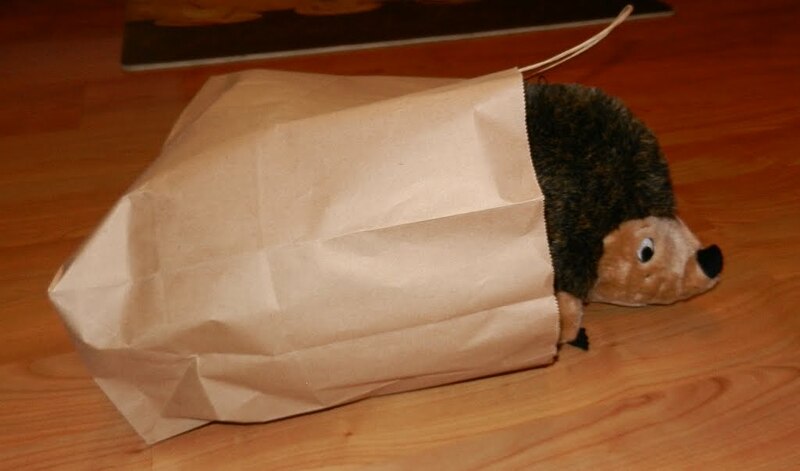 (Pug Ultra Snorty Surveillance System) captured the occupant of the mysterious brown bag that's been dragged around by my Hedgies...And that's a HUGE Hedgie! I came home from Doggie Day Care and saw IT....JUMBO HEDGIE!!!! YOWSA! SNORT! Biggest Hedgie EVER! No wonder The Hedgies were trying to hide him. 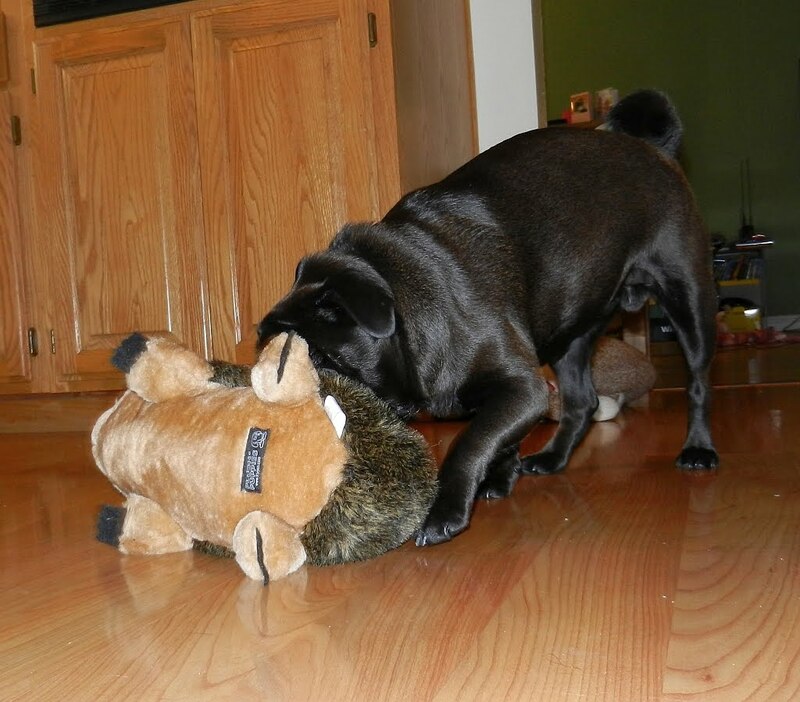 Mommy and Daddy told me that they talked to my Hedgies and they said a Jumbo Hedgie was at my favorite store. I remember seeing him, one time, when I was buying my monthly supply of delicious treats. 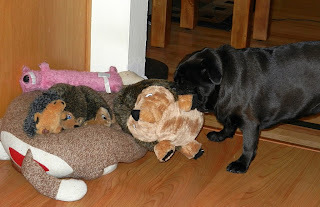 I pondered orbing Mommy and Daddy to liberate Jumbo, but I got sidetracked with the free treats the nice lady was giving me (silly Belly, always thinking with me Belly). That is a really big Hedgie. Almost as big as you! Hey, I guessed right! 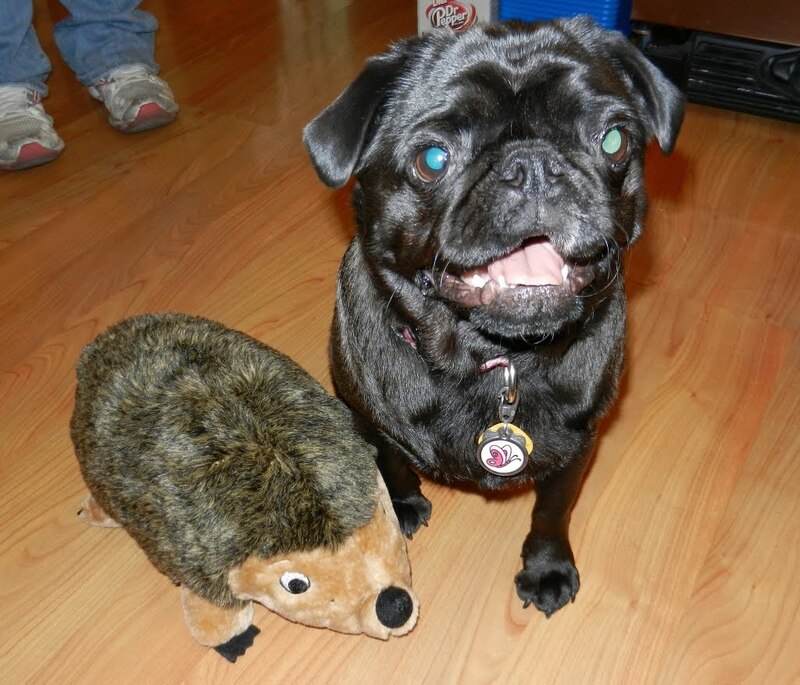 Bella, you look so happy posing with your jumbo hedgie! Have fun playing this weekend. Holy Hedgie!!! That guy is huge. We hope you have tons of fun Belly. Have fun with Mega-Hedgie. He looks like a lot of fun. Wow! That's one big hedgie! have a fun weekend with your new friend.